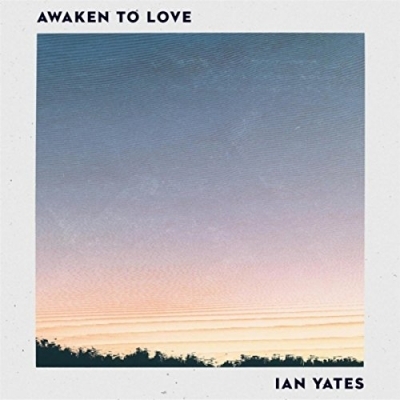 Ian Yates is back with a new album titled 'Awaken To Love'. Let's get the headline out there now: 'Ian Yates does it again'. If you don't want to read the rest of the review let's sum this album up quickly, Ian Yates has produced his best album to date. If you want to know why, read on. If you don't, just go out and buy it now, I'm sure you will love this album! Read More Ian Yates is back with a new album titled 'Awaken To Love'. Let's get the headline out there now: 'Ian Yates does it again'. If you don't want to read the rest of the review let's sum this album up quickly, Ian Yates has produced his best album to date. If you want to know why, read on. If you don't, just go out and buy it now, I'm sure you will love this album! If you are new to the music of Ian Yates let me just give you a quick background about the tallest Liverpool based worship leader I know. Ian Yates lives in Liverpool, UK, and leads musical worship at various events and churches across the UK. Ian is part of the Elim Sound core team, which exists to 'Inspire, Equip and Encourage the church in worship'. Awaken To Love starts with the brilliant 'High Wire'. A perfect track to start any album. It properly sums up the style and sound of Ian all in one song. Strong lyrics, passionate vocals and great music, that's what make the perfect song, and High Wire has it all. This song became an instant standout song for me. We then move onto the second of the opening energetic songs "Great Is The Lord". Both these two opening songs work well together and really set the album up nicely. I enjoyed these two songs so much I hoped that the album hadn't peaked too early. Stand by my friends, the answer is a big no, the album gets even better. Ian Yates on his third track even pops up with a cover of "All You Need is Love". A song made famous by some other Liverpool band, I forget their name now... This airy, atmospheric version actually hold its own, that comment in itself is a very brave statement but somehow Ian makes this well known song his own. I'm impressed. There is so much going on that it's hard to keep up. This album is track after track of pure quality. This atmospheric yet powerful sounds continues with 'Dream Again' and title track 'Awaken To Love', with the latter really kicking it up a notch with distorted guitars. Yet the guitars are produced very cleverly so as not to lose the overall soft and intimate atmospheric feel of the track. After many listens the title track has grown and grown on me. It's a real standout, you will find yourself being lost in the sounds. The song is a truly honest track that will leave you with your hands in the air, closing your eyes and getting lost in the Majesty of God. No Longer I will be familiar to many. This song appeared on Matt Redman's Unbroken Praise - it is a truly stunning song. The song idea came from Ian and Sam Blake with Matt finishing it off, true team work. The first verse is adapted from the Ralph Erskine Hudson hymn from 1885 and is a fantastic song. It seems to captures the cross and its Grace beautifully and this recording for Awaken To Love moves the song more into an Ian Yates version, which is simply beautiful. "His arms are open wide, his arms are open wide" is the cry from the track 'Coming Home'. This groovy number even has an over the top 80s esq guitar solo in it. It just seems to all work together as a track nicely but reading it on paper it shouldn't. I kind of can't put into words how great this song is and for so many different reasons. I think this is one of the only times I have literally said in a review, go and listen yourself, it's a stunning song. "He Has Never Left You" sees Ian in his most intimate place. He changes his vocal style to sound more intimate. I would say Ian has a big hearty voice but on this song you see the softer side of those warm vocals. This song is one of those that if you let it, can really pull at the heart strings. Tears a plenty, heart moved, soul rejoicing. If you are looking for a big chorus then "My Hope" has it. A big drum sound and a big booming atmospheric chorus. Yes. 'Deeper' is a great tune and closing track 'Safe' is a soulful and reflexive way to end a truly amazing album. I am so impressed with the number of top quality tracks on this album. I have fallen in love with this album from the first listen. Yet even after listen number two and three, and even listen number fourteen, I am still enjoying this album. Most albums these days would love to have at least two tracks of this quality on their album, Awaken To Love has plenty of top songs. What really stands Ian Yates' album above others is his vocals. His passionate, honest and warm voice creates a safe place, and you always feel at ease in his company and that doesn't distract you from the main purpose of an album like this, to bring you closer to God. This album is the best of Ian Yates in songwriting, singing, musicianship and brave creativity. His last outing, DNA, was a firm favourite of mine for a very long time (still is). I actually think Awaken to Love could even surpass DNA as a new Jono favourite album.